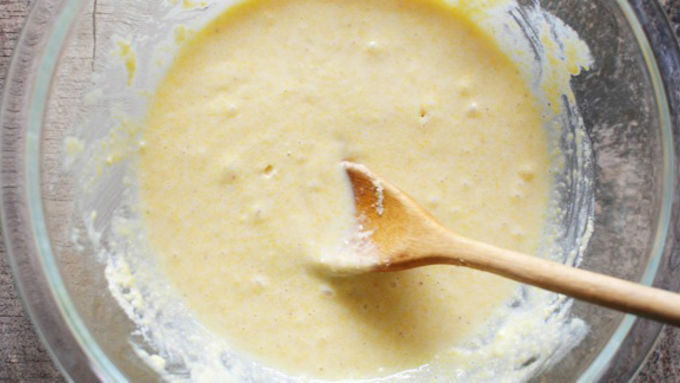 In a large mixing bowl, combine the Betty Crocker™ stuffing mix, egg and milk. Mix with a wooden spoon. 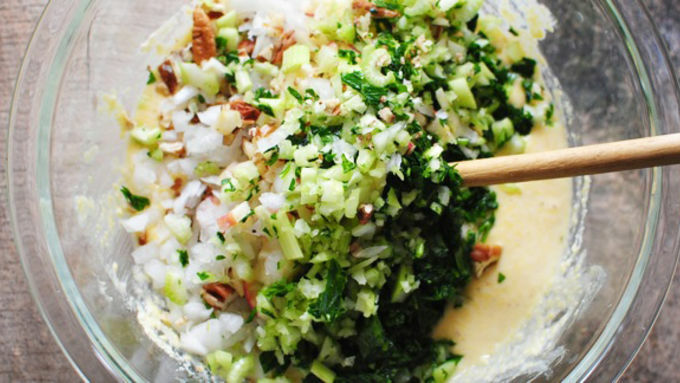 Add the onion, garlic, parsley, apple and pecans. Mix to combine. 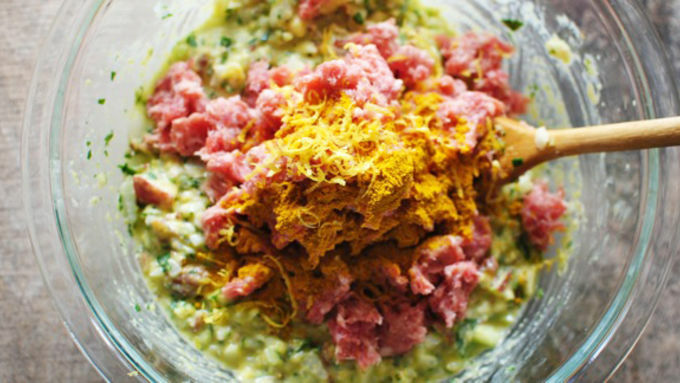 Add the torn sausage, curry powder and lemon zest. Mix to combine. 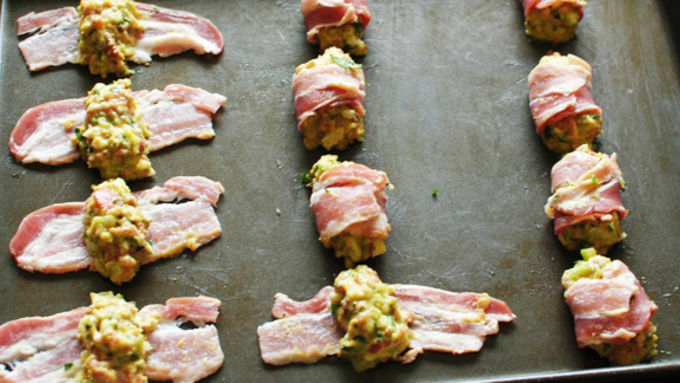 Arrange the bacon strips on a baking sheet. Take a small mound of stuffing and form a little log, or finger. Place the mound in the center of each bacon strip. Wrap the bacon around the stuffing. 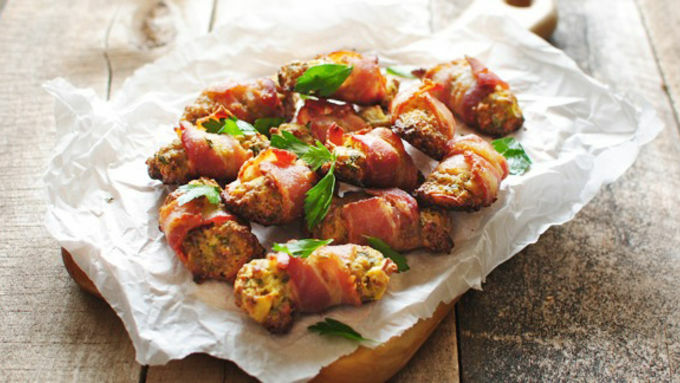 Bake for 45 minutes, or until bacon is crispy and stuffing is browned and cooked through. These nibbles are perfect as Thanksgiving appetizer bites or a creative way to serve stuffing on the side. So you have stuffing. A delicious stuffing filled with apples and curry and pecans and sausage and herbs and celery. And onions and garlic. And you think, "Dang. Now this is good stuffing. Look at all of that texture and flavor. I might need to lie down." And then you have bacon. And you officially need to lie down. And then you take the stuffing, and you mold it into little bites, and you lay it inside the bacon strip and wrap the bacon around it. And you bake it. And you smell it. And you fall to the ground and don't even WANT to get up. 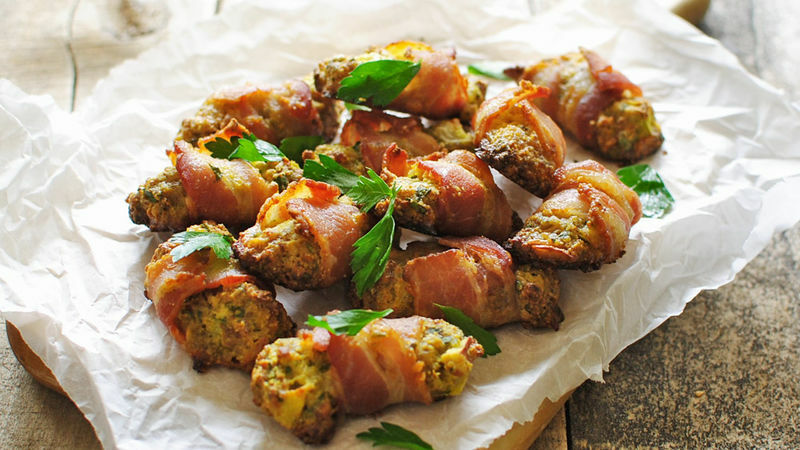 You just have someone hand-feed you little baked bacon-wrapped stuffing bites until you can no longer see. And life is beautiful. The end. Pure amazing ridiculousness. We dare you to only eat 18. Your Thanksgiving guests just completely fell to the ground. But you knew that would happen.